Welcome to the Town of Florence Online! - Charles White Whittlesey, Medal of Honor recipient in World War I, was born in Florence. - The Town of Florence maintains 119.21 miles of roads and streets--64.41 miles are paved road and 54.35 miles are gravel. - Florence is the County seat for Florence County. A Little History of the Town. . .
Mrs. Hulst -- The time is come when we must give a name to the new town in Wisconsin at the end of the Railroad now building, and to the new mine in the vicinity, now called the Eagle, but which name we do not wish to keep, as there is already an Eagle P.O. in Wisconsin. The Company owns all the land around the lake, where the town will be located. It will be a lively town. We shall put an anti-whiskey clause in all deeds and we expect it will be as much noted for its temperance and morality as for its -- well, anything the future may develop. We all wish to call the new town and the mine FLORENCE, in honor of the first white woman who had courage enough to settle (for a while) in that rugged country. I mean the first white woman known to us. Will you permit your name to be used? Thus the town and mine had been given a name, a very prim and proper name! Because of the mine people rushed into the region and by 1880 Mr. Fisher laid out the townsite, putting a number of lots upon the market. He said he would put the lots in at government prices selling the ordinary lots from $100.00 while the corners sold for $150.00. In sixty days Mr. Fisher had sold $60,000 worth of realty. The population at this time was 50 people. In a short time a blast furnace was put up as was a foundry, five coal kilns, a large sawmill and a cheese factory. 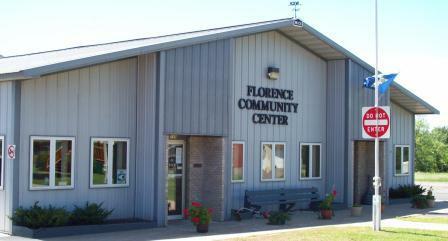 The Town of Florence Office is located at 749 Central Avenue. It is in the corner of the Community Center building. The mailing address for the Town of Florence is P.O. Box 247; Florence, WI 54121. Office hours are Monday through Friday from 8:00 a.m. to noon and 12:30 p.m. to 3:30 p.m.
Click on Shelly's name or Jessica's name to e-mail them. Neither the Town of Florence, nor any of its boards, committees, commissions nor any of its elected or appointed officials or employees shall be held liable for any improper or incorrect use of the information described and/or contained herein and assumes no responsibility for anyone's use of the information, nor shall they be liable for any direct, indirect, incidental, special exemplary, or consequential damages (including, but not limited to, procurement of substitute goods or services; loss of use, data, or profits; or business interruption) however caused and on any theory of liability, whether in contract, strict liability or tort (including negligence or otherwise) arising in any way out of the use of this system. This disclaimer of liability applies to any damages or injury, including but not limited to those caused by any failure of performance, error, omission, interruption, deletion, defect, delay in operation or transmission, computer virus, communication line failure, theft or destruction or unauthorized access to, alteration of or use of record, whether for breach of contract, tortious behavior, negligence or under any other cause of action. Although the data found using the Town's access systems have been produced and processed from sources believed to be reliable, no warranty, expressed or implied, is made regarding accuracy, adequacy, completeness, legality, reliability or usefulness of any information. This disclaimer applies to both isolated and aggregate uses of the information. The Town provides this information on an "as is" basis. All warranties of any kind, express or implied, including but not limited to the implied warranties of merchantability, fitness for a particular purpose, freedom from contamination by computer viruses and non-infringement of propriety rights are disclaimed. Changes may be periodically made to the information herein; these changes may or may not be incorporated in any new version of the publication. If you have obtained information from any of the Town's web pages from a source other than the Town's web site, be aware that electronic data can be altered subsequent to original distribution. Data can also quickly become out of date. It is recommended that careful attention be paid to the contents of any data associated with a file and that the originator of the data or information be contacted with any questions regarding appropriate use. If you find any errors or omissions, we encourage you to report them by using our feedback form. The Town is a distributor of content sometimes supplied by third parties and users. Any opinions, advice, statements, services, offers, or other information or content expressed or made available by third parties, including information providers, users, or others, are those of the respective author(s) or distributor(s) and do not necessarily state or reflect those of the Town and shall not be used for advertising or product endorsement purposes. Reference herein to any specific commercial products, process, or service by trade name, trademark, manufacturer, or otherwise, does not constitute or imply its endorsement, recommendation, or favoring by the Town. 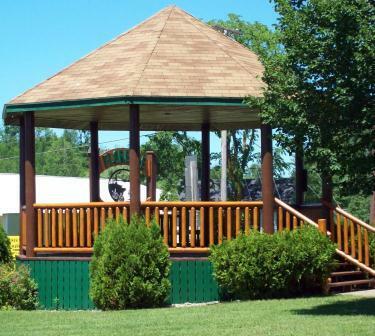 The Town is not responsible for the contents of any off-site pages referenced. The user specifically acknowledges that the Town is not liable for the defamatory, offensive, or illegal conduct of other users, links, or third parties and that the risk of injury from the foregoing rests entirely with the user. Links from the county's web site on the World Wide Web to other sites do not constitute an endorsement from the Town. These links are provided as an information service only. It is the responsibility of the web surfer to evaluate the content and usefulness of information obtained from other sites. The Town's website contains links to other related World Wide Web Internet sites and resources. Since the Town's web site is not responsible for the availability of these outside resources or their contents, you should direct any concerns regarding any external link to its site administrator or webmaster. Due to the dynamic nature of the Internet, resources that are free and publicly available one day may require a fee or restricted access the next and the location of items may change as menus, homepages, and files are reorganized. The user expressly agrees that use of the Town's web site is at the user's sole risk. Web site content and related graphics published on this server could contain technical inaccuracies or typographical errors. Changes are periodically added to the information herein. The Town and/or its respective agencies and programs may make improvements and/or changes in the information and/or programs described herein at any time. To insure getting proper credit, all checks should include the parcel number(s) of the properties they are to cover. The second installment is payable to the Florence County Treasurer at the Florence County Courthouse by July 31. There are no installment payments on Personal Property Taxes except for buildings on leased lands only, which would be accepted under the two payment plan. Any Personal Property payments made after January 31 should go directly to the Town of Florence. Interest is charged at 1% per month or fraction, beginning February 1 until paid. To insure getting proper credit, all checks should include the parcel number(s) of the properties they are to cover.